Photo and testimony of 'Saby', as he is known in media circles, played crucial role in 26/11 trial, which led to Kasab's hanging in 2012. 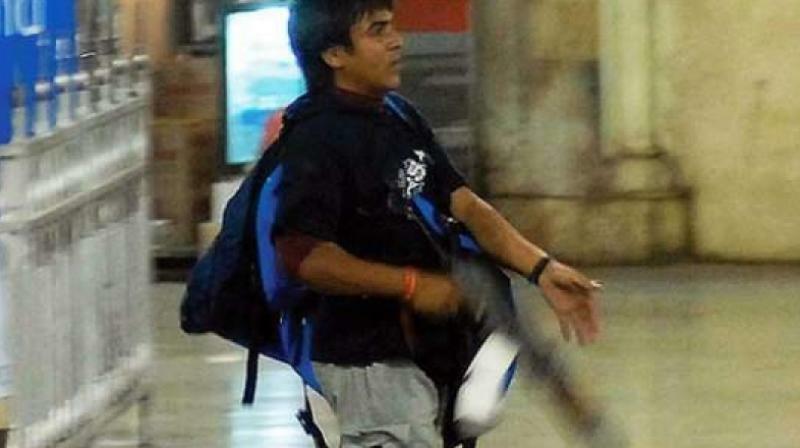 Mumbai: The photojournalist who captured the chilling image of 26/11 Mumbai attack terrorist Ajmal Kasab at the Chhatrapati Shivaji Maharaj Terminus, says police let Kasab and his accomplice flee from the railway station. On November 26, 2008, Sebastian D'Souza ran out from his office next to the train station armed with nothing more than his Nikon camera and lenses, after hearing the gunfire. The photo and testimony of 'Saby', as he is known in media circles, was to play a crucial role in the 26/11 trial, which led to Kasab's hanging in 2012. "Had policemen posted near the railway station killed Kasab and the other terrorist inside the station, so many lives could have been saved," Saby told PTI. In one of the most horrific terrorist attacks on the soil of India, 166 people were killed and over 300 were injured when ten heavily-armed terrorists from Pakistan ran a rampage in Mumbai 10 years ago. "There were two police battalions present near the station, but did nothing," said Saby, who retired in 2012 and settled in Goa. Saby, 67, won the World Press Photo award for the close-up photograph of Kasab, holding an AK-47. He took the photos using a telephoto lens on his Nikon camera, while hiding inside a train carriage. "I ran into the first carriage of one of the trains on the platform to try and get a shot, but as I could not get a good angle, moved to the second carriage and waited for the terrorists to walk by. I briefly had time to take a couple of frames. I think they saw me taking photographs, but didnt seem to care," he said. Having given up photography after retirement, Saby now keep himself busy with carpentry and paintings. "I don't want to remember what I did that (November 26) night," he said, terming the sequence of events as an 'old film' which he wants to erase from his memory.